Founded in July 2007, the Mathematical Engineering Academy of Chinese Medicine is an innovative industry-university-research cooperation platform jointly funded by Dongguan Municipal People’s Government and Guangzhou University of Chinese Medicine. Under the Academy are three technical centers-Theoretical Research Center of Smart Computing and Chinese Medical Mathematical Engineering, Chinese Medical Innovation Engineering Center, and TCM Smart Information Service Network Center for Community Medical Care. The Academy has built well-known expert teams in TCM theories, TCM clinical treatment, new TCM drug development and TCM extraction engineering and TCM information. Relying on the technical resources of national and provincial key laboratories (engineering centers) like National Chinese Medicine Modern Engineering Technology Center of Guangzhou University of Chinese Medicine, Guangdong Key Laboratory for Modern Chinese Medicine Research and Development, and Guangdong Key Laboratory for New Drug Selection, and years of innovative research experience in TCM, the Academy is committed to provide quality and efficient services for enterprises and research institutes in and outside Dongguan and Guangdong Province. 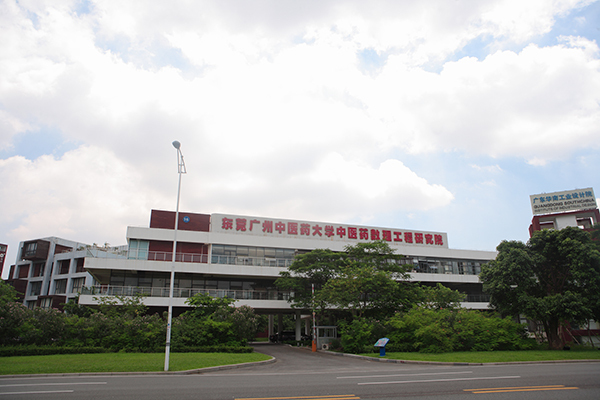 In terms of projects and intellectual property rights, the Academy has undertaken 44 municipal, provincial and national projects, including a number of influential projects like projects of the 12th Five-year Plan Period Science and Technology Support Program, National Major New Drug Development, National Program 973, and Guangdong Industry-University-Research Cooperation. Accumulatively the Academy has been granted with RMB 26 million of research funds. The Research on Key Technologies of Regional Medical Health Information Exchange and Sharing and New Medical Model Demonstration Project, a special project under National Program 863, has passed the oral defense of substantive review. Among the 35 patents applied by the Academy, 27 of them are patents for invention, 6 of them patents for utility models and 2 of them patent cooperation treaties (PCT). Among the 12 patents awarded, 6 of them are patents for invention, and 6 of them patents for utility models. 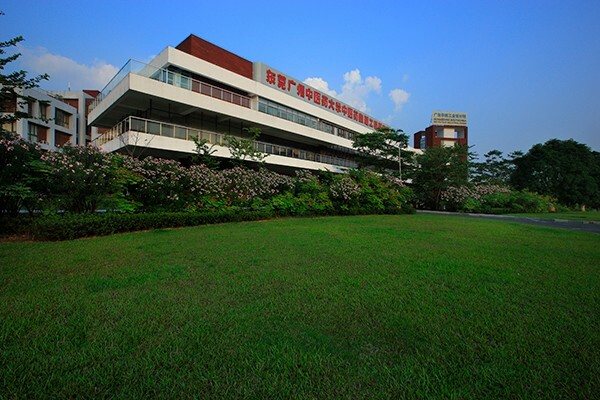 Attaching great importance to industry-university-research cooperation, the Academy has worked closely with pharmaceutical enterprises and related organizations, including such well-known enterprises and public institutions in Dongguan as Zhongsheng Pharmacy, Dongguan Kanghua Hospital and Taiping People’s Hospital. Making use of its own sources, the Academy has successfully fostered 9 pharmaceutical enterprises, including Guangdong Guofang Medical Technology Co., Ltd. Furthermore, the Academy has partnered up with Derun Group to build Guangdong Songshan Lake TCM Health Science Park. Invested with RMB 1 billion, the Park has a land area of 107 mu and a gross floor area of 130,000 square meters. It’s positioned as a high-end TCM health science park centered on modernization of TCM, integrating R&D, scientific experiment, marketing, health service, medical health informatization and cultural communication.